There’s a lot of possible answers to the first questions, which spans from marketing to visibility, features to usability, costs to risk. Almost everyone in the community has a viewpoint on it; and that’s what’s driving this research inquiry - we want to identify general trends, while tapping into the huge breadth of knowledge between us. We’ve created separate surveys for CRM end-users themselves (who may not be CiviCRM users) and CiviCRM implementers/agencies/freelancers/partners/consultant. The second question was driven by the discovery in the Marketing Group that a lot of website visits were from non-English language countries, despite the site being fully in English. A project is already underway to setup multi-lingual pages, and this survey seeks to get a better understanding of users whose first language isn’t English. 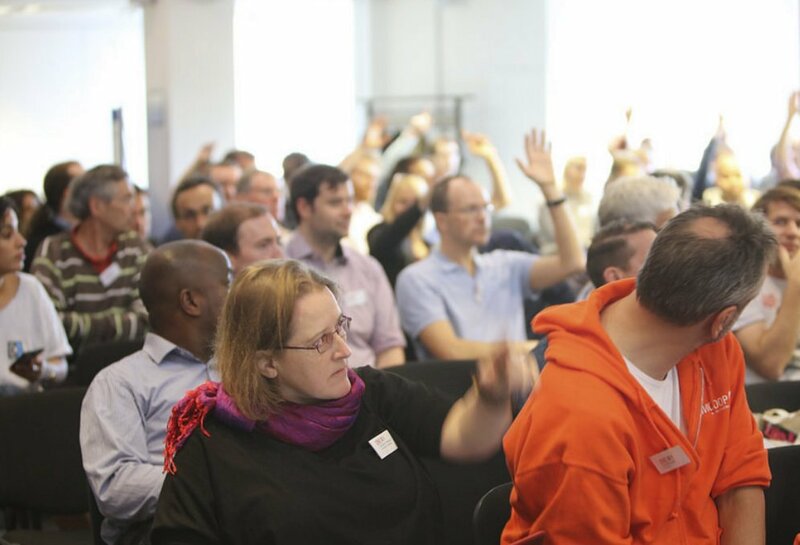 What does CiviCRM do well?, where do we fail?, what should we focus on and does anyone want to help? To share the survey with your contacts and associates. (NB - the survey for end-users takes maybe 15-20 mins. If you or those you share with are pushed for time, then there’s a shorter version here). What was that about Mozilla? 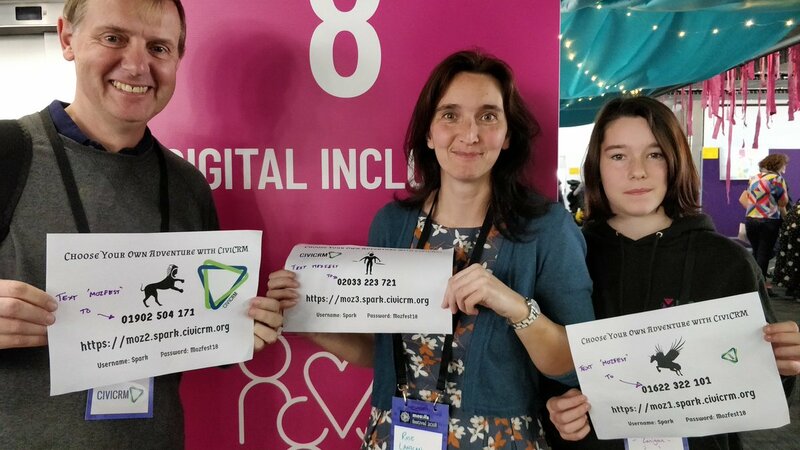 In October last year CiviCRM presented at Mozfest London. For those who've not been, Mozfest is an invigorating gathering of over 1,000 people looking at all the challenges and promise online, from accessibility and representation to 3D printed limbs for amputees and protection for press freedom. Michael McAndrew of Third Sector Design, Rose Lanigan of Ruza Solutions, Aidan Saunders of Squiffle Consulting and myself led a session Make a choose your own SMS adventure with CiviCRM — where participants created their own SMS-based conversation tool using Michael's SMS Conversation extension on a series of specially setup CiviSparks. The night before we’d been invited to pitch to the Mozilla Open Source Seed Fund, which supports Open Source projects. After our session, Rose and myself made a pitch for $5,000 to support the core team, with some research alongside, driven by our curiosity how an organization like Mozilla had moved from CiviCRM to Salesforce. Around ten years ago, Mozilla was looking at creating a packaged CiviCRM and Drupal distribution known as Mozilla CRM, that would have added social-network type capability. Why some non-profits choose Salesforce (or don't) is an interesting question to us; but as we began discussing research we realised there were a number of areas to focus on: multi-lingual needs of the community, provider/agency needs and charity decision-making. Thanks in advance for your help - to Rose Lanigan, Mathieu Lufty, Bashar Makhay, Erik Hommel, Adrian Wistreich, Joshua Gowans and William Mortada for their help and feedback so far — and of course the Mozilla Foundation for making this possible.